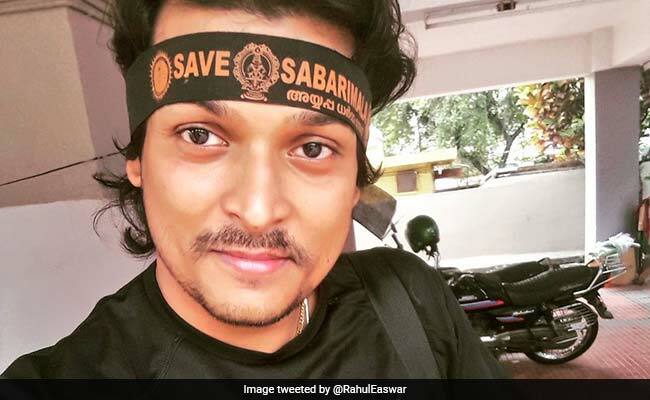 A team of police personnel took Rahul Easwar into custody from a rest house, recorded his arrest and then took him to Ranni in Pathanamthitta for producing him before a court, police said. A team of police personnel took Mr Easwar into custody from a rest house, recorded his arrest and then took him to Ranni in Pathanamthitta for producing him before a court, police said. Soon after the arrest, Mr Easwar told reporters that he had not defied any bail conditions. He said he came to Palakkad to attend a function organised by the Hindu Mahasabha. A court at Ranni in Pathanamthitta district had revoked the bail granted to Mr Easwar on December 15 and directed the police to re-arrest him for defying a bail condition. He was out on bail in the case relating to violence at the Lord Ayyappa shrine when it was opened for the monthly 'pooja' on October 17. Mr Easwar was earlier arrested from Pamba following violent protests at Sabarimala.